This is looking south towards Valapariso with the Pacific Ocean on the right side. 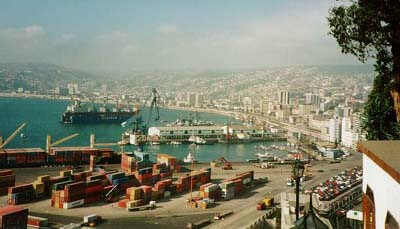 This was taken on el cerro artillería in Valparaíso looking north towards Viña del Mar. 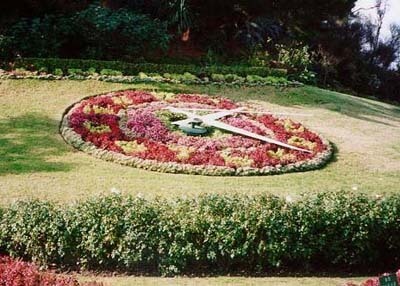 This clock made of flowers resides in Viña del Mar and faces the Pacific Ocean. 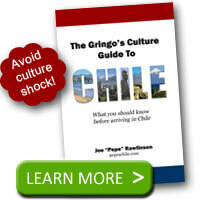 This stain glass window of the Liberator Bernardo O’Higgins is displayed in the Chilean Naval and Maritime Museum in Valparaíso.